Does having more money increase happiness? Apparently winning the lottery doesn’t assure long-term contentment. I know you’re saying, “I’d like to see for myself.” After good fortune of any sort, whether winning Power-ball or getting a pay raise, happiness levels spike for a short time, but return to previous levels after a few months. We seem to have a happiness set point; an innate fixed range. A study called Lottery Winners and Accident Victims: Is Happiness Relative? compares lottery winners and people who became paralyzed. Researchers found that people who win large sums are no happier, over time, than those injured in accidents. While the study involved a relatively small sample (22 lottery winners, 29 recently injured paraplegics/quadriplegics, 22 controls), it reported that lottery winners were not appreciably happier than controls; deriving less joy from everyday events. Not surprising given that the injured were still coming to terms with a life-changing spinal cord injury and focused on recovery and rehabilitation, the research found that the injured were significantly less happy than the winners or controls. However, they still reported slightly more enjoyment of everyday pleasures than the lottery winners. And, all study participants expected similar future happiness levels. We’re happy that we’re visiting our kids. While getting to Kodiak Island requires complicated travel, it’s worth it. 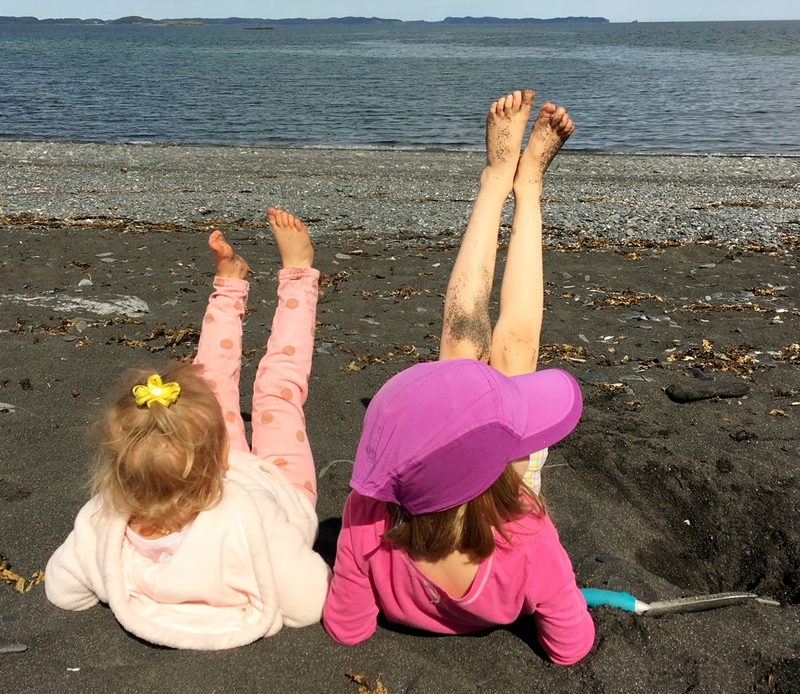 We’ll have time for playing and projects; trips for ice cream and to the library; going to the beach and watching the planes land. Hopefully, we’ll have some hours without rain, but we have no control over the weather. The good news is we’re as happy as we make up our minds to be. And depending on your viewpoint, that’s the bad news too. ← Take A Trip To A National Park — Doctor’s Orders!